A unique opportunity for miniature scale 2D and 3D art works. Do you have or would you like to create an artwork for display in a unique mobile venue, estimated to be seen by 200-300 people per day and soon to be featured in the media. Bob Prophette is an artist living in London with an unusual approach. He likes to look at art in a different way - outside the usual gallery system. He recently suffered the loss of the face and mechanism of his grandfather’s watch - an elegant Wittenauer /Longines gold timepiece - while playing with friends in Victoria Park London. He intends to use the the housing as a new gallery space, suitable for miniature 2D and 3D art works. The first work to be displayed will be by the Australian designer Angela Groundwater, this will be followed by UK poet Peter Handley's work and then Chilean Photographer EnriqueVerdugo. Each exhibition will last for one month. Following these openings the space will be open for another 9 months to artists who respond to this open call. The three invited artists and Bob Prophette will select the art works for display. The exhibition will be marketed aggressively to the media and will be documented in a full colour book and website. 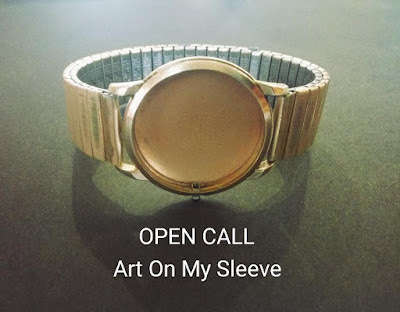 So if you are interested in working outside the mainstream - joining artists who are passionate about changing the way people view art (in all senses) then submit a short proposal together with an image if possible. There is no fee for application and no criteria. Everyone is an artist and all art is welcome. The space is circular, approximately 2.8 centimeters in diameter. It is suitable for 2D works (photographs, paintings, words) or 3D works. 3D works ideally should not be taller than 3cm. The taller the work, the more robust the structure has to be to withstand the inevitable bumps of everyday life.